My dream is to introduce complex functions into materials using various supramolecular formulation and screening approaches; to ultimately control biology in the human body. Patricia Dankers studied chemistry at Radboud University (Nijmegen, the Netherlands), where she majored in biochemistry and organic chemistry. In 2002, she started her PhD research at Eindhoven University of Technology under supervision of prof. E.W. (Bert) Meijer, developing and studying supramolecular bioactive biomaterials by introducing a modular approach. After her PhD defense in 2006, she became a research scientist at the SupraPolix company in Eindhoven and a researcher at the laboratory of Pathology and Medical Biology at the University Medical Center Groningen (UMCG). At UMCG she initiated the Dutch bioartificial kidney project together with Prof. Marja J.A. van Luyn. In 2008, Patricia Dankers was appointed as assistant professor at Eindhoven University of Technology. In 2010 she was a visiting professor in the research group of Prof. Samuel I. Stupp at the Institute for BioNanotechnology in Medicine at Northwestern University, Chicago (USA). In 2013, she defended her second PhD thesis, this time in the medical sciences and at Groningen University, with her study on kidney regenerative medicine. In 2014, she was appointed associate professor at TU/e and in 2017 full professor of Biomedical Materials. Patricia Dankers is a Veni (2008) and Vidi (2017) laureate and received an ERC starting grant in 2012. 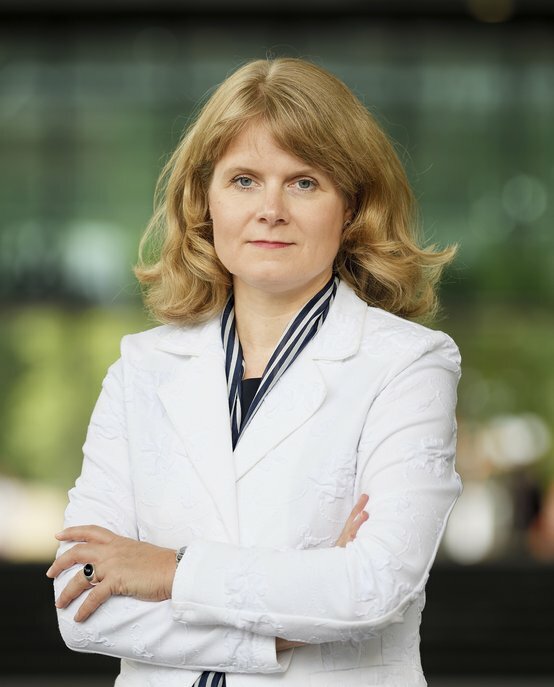 She has been awarded various grants and awards, such as the DSM Science & Technology award and the Pauline van Wachem award (for the best thesis in biomaterials research and tissue engineering). Since 2015 she is a member of De Jonge Akademie (DJA) of the KNAW and in 2016 she joined the board of DJA.